Based on the beloved holiday film, this hilarious fish-out-of-water comedy is now a must-see holiday musical. Buddy, a young orphan, mistakenly crawls into Santa’s bag of gifts and is transported to the North Pole. 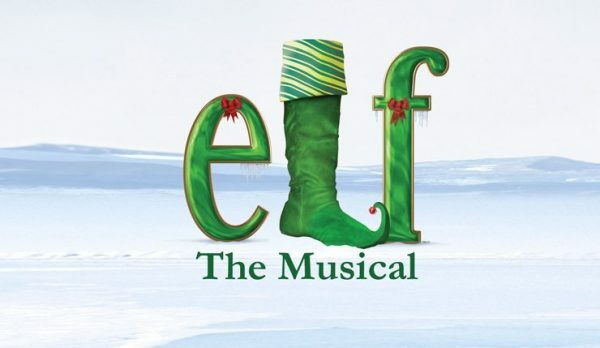 The would-be elf is raised, unaware that he is actually a human, until his enormous size and poor toy-making abilities cause him to face the truth. With Santa’s permission, Buddy embarks on a journey to New York City to find his birth father and discover his true identity. Faced with the harsh realities that his father is on the naughty list and his half-brother doesn’t even believe in Santa, Buddy is determined to win over his new family and help New York remember the true spirit of Christmas. This modern day holiday classic is sure to make everyone embrace their inner elf! We have wonderful seats in rows 1, 2, 3 & 4. A delicious lunch featuring Seafood St. Jacques, Roast Pork Loin, Zucchini Noodles, Fresh Cranberry Sauce, Wild Rice, Couscous, fresh rolls and Rumchata Cheesecake is included.